Hi Folks! 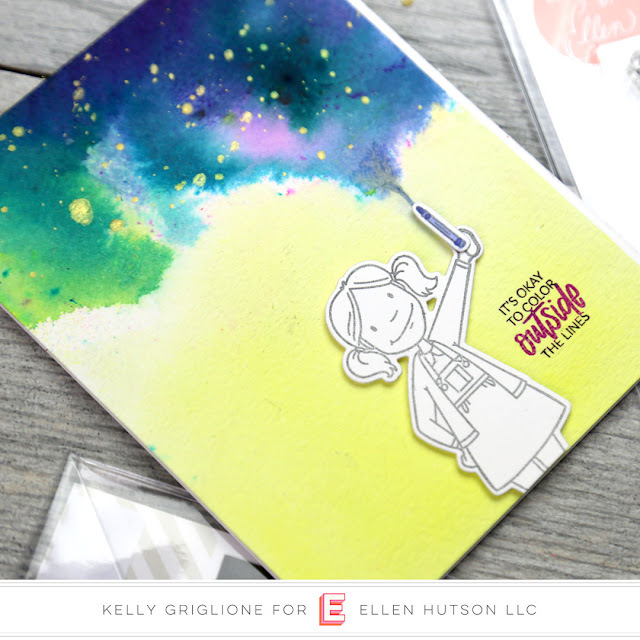 My final guest design post is up on the Neat & Tangled blog! 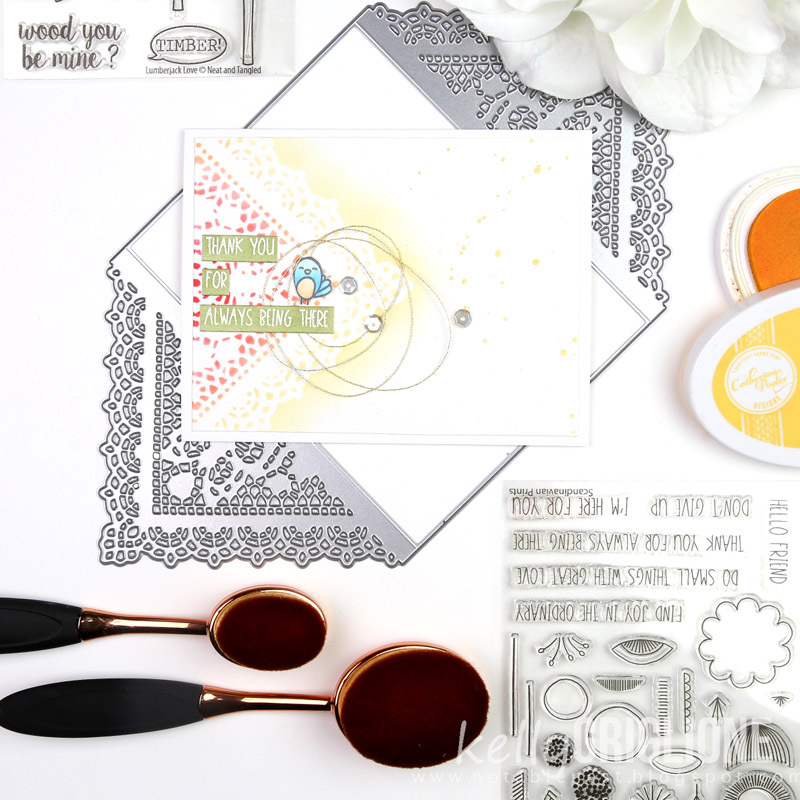 I've been eyeing the gorgeous Doily Envelope Die for awhile now, thanks in part to the amazing Kate who uses it often to wrap her multi-dimensional creations, and have been so anxious to try it out. For my final post I came up with SIX different ways to use this die (not including two bonus cards that I threw in)! 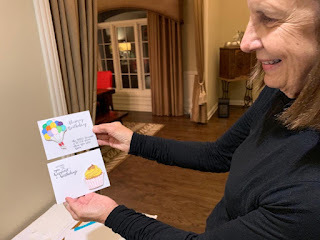 I'm sharing all the details, tips and tricks on the Neat & Tangled blog, but I couldn't help but wanting to share a photo of each card here too. 1) Make an envelope, as it was intended. 2) Make a square doily with the two large flaps. 3) Use the doily as a stencil. This next card uses a similar technique of covering a portion of the card with the doily to use as a stencil and brush ink through. Since it's a similar idea, I didn't count it as a different way to use the die, so let's consider it a bonus card! 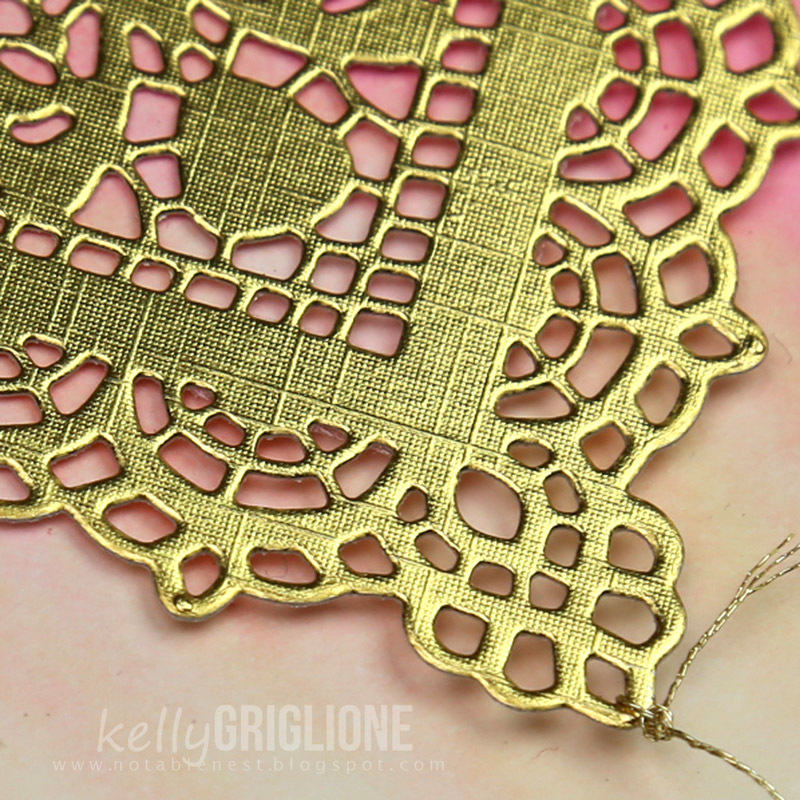 4) Search for other elements in the lace to highlight. 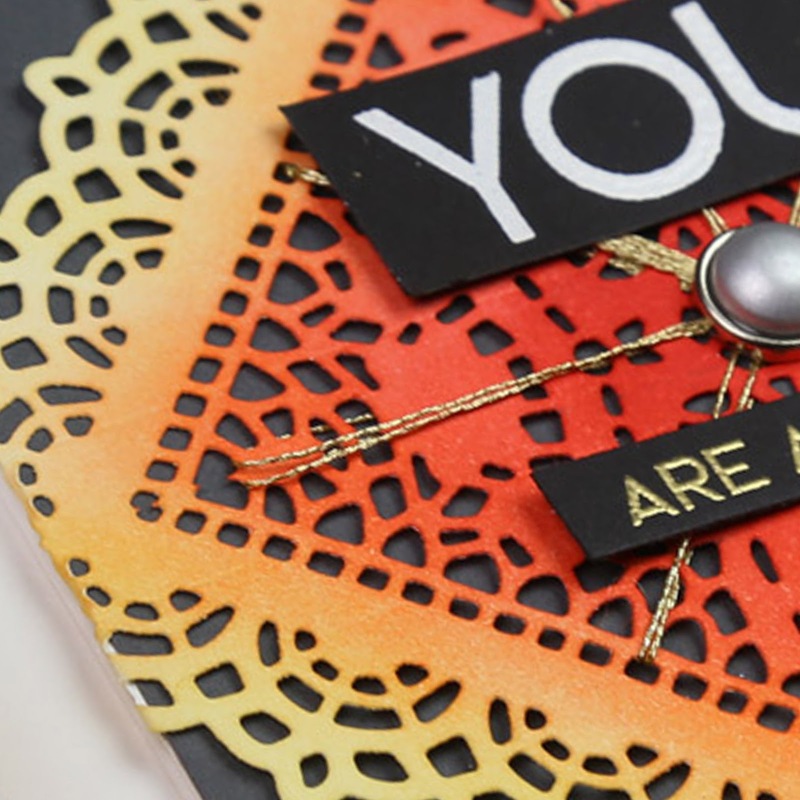 5) Use the smaller doily flap as a topper for your card. 6) Use two of the smaller doily flaps to create a square panel. 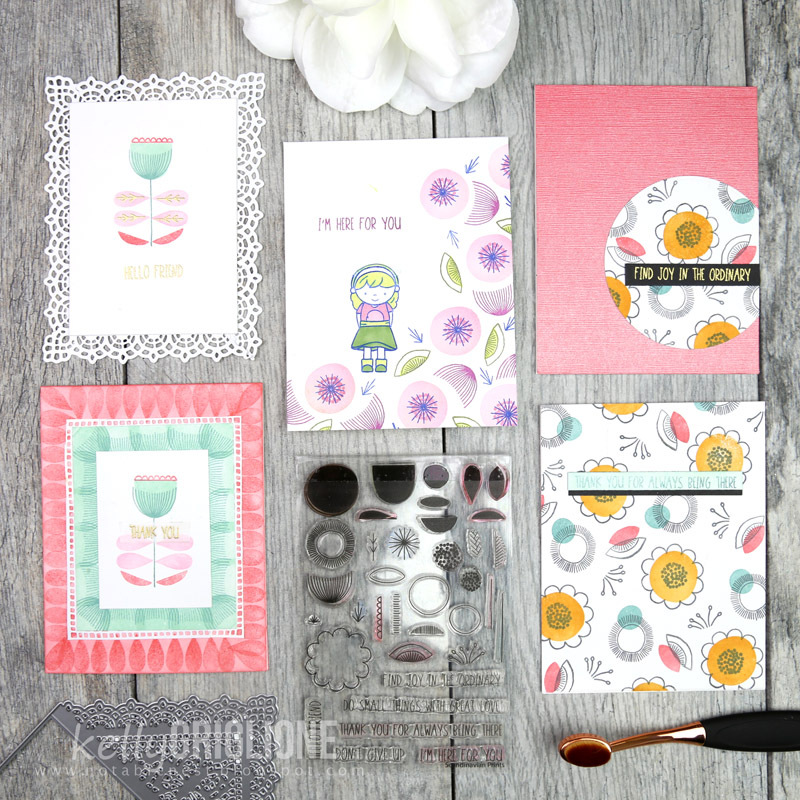 7) Use the doily to outline any size card. 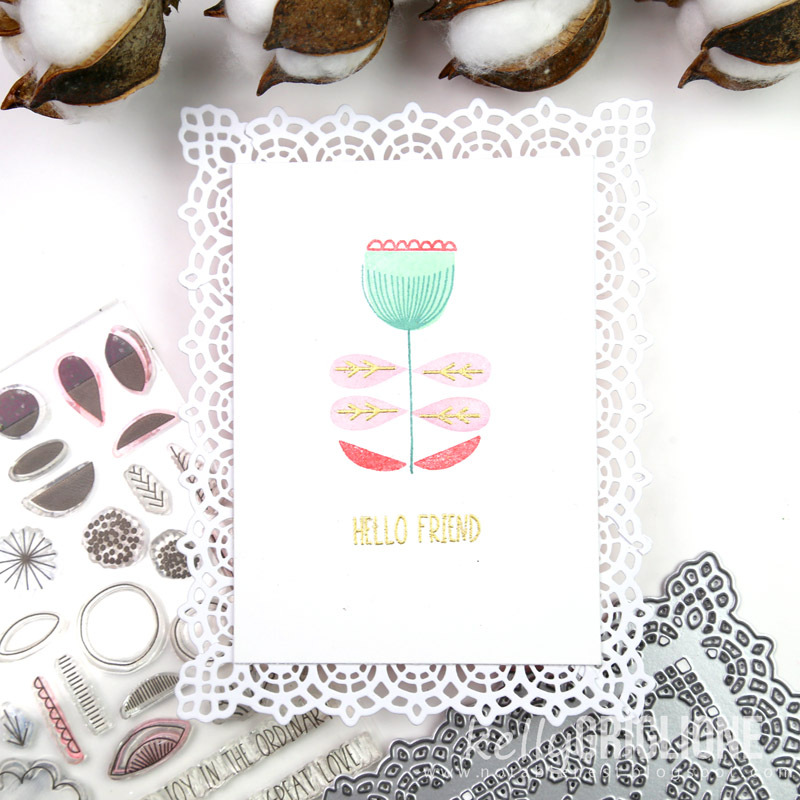 This card was featured in last week's post, so I didn't really count it in my six ways to use the doily die, but thought I'd still mention it since it's a different idea. Well that's a wrap! 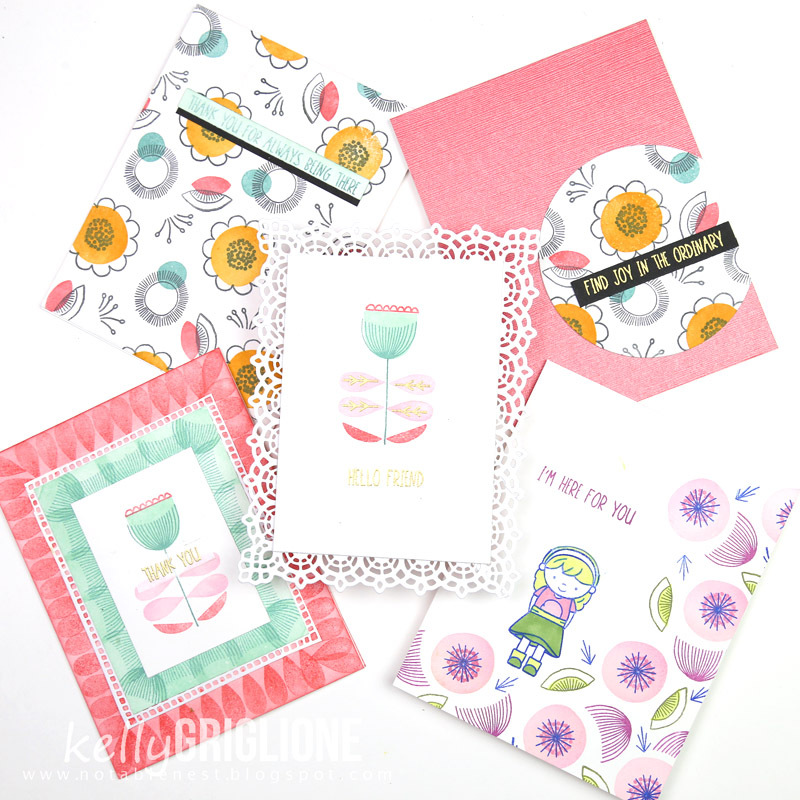 Both for my Doily Envelope cards, and for my January guest designing. Sure hope you liked the ideas, and maybe were inspired to look at your supplies in a way they weren't intended to be used! 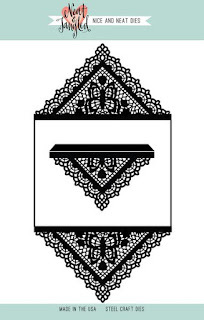 Be sure to stop by the Neat & Tangled blog for all the commentary, and how-to photos, especially with making the square doilies. 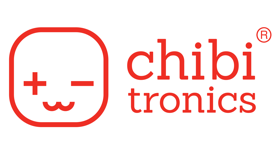 Many thanks to Miriam and Neat & Tangled for inviting me to share my projects with you this month. 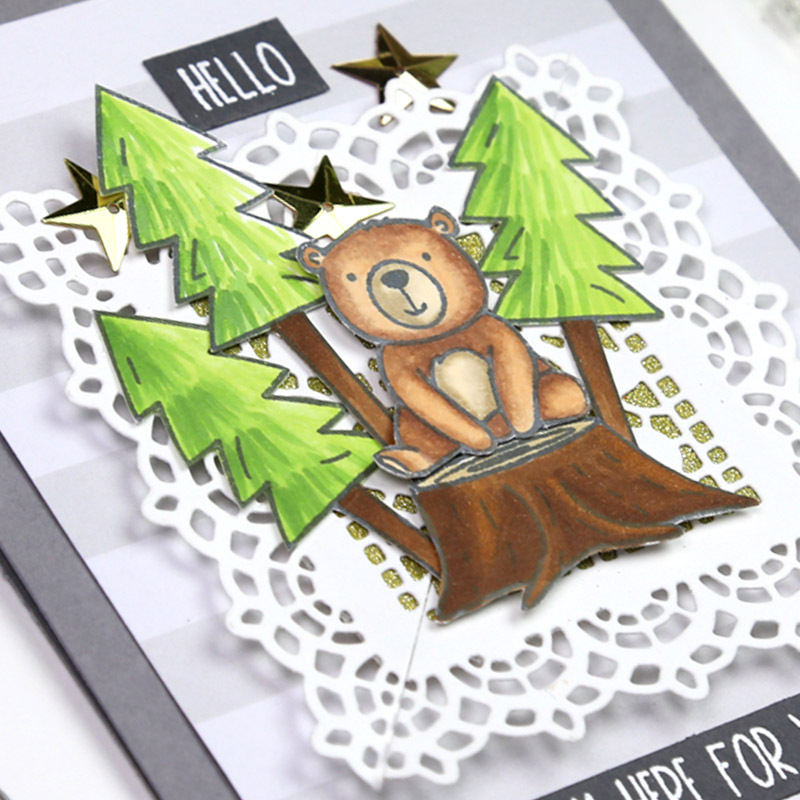 It's sure been a treat playing with these wonderful stamps and dies! Hi Folks! 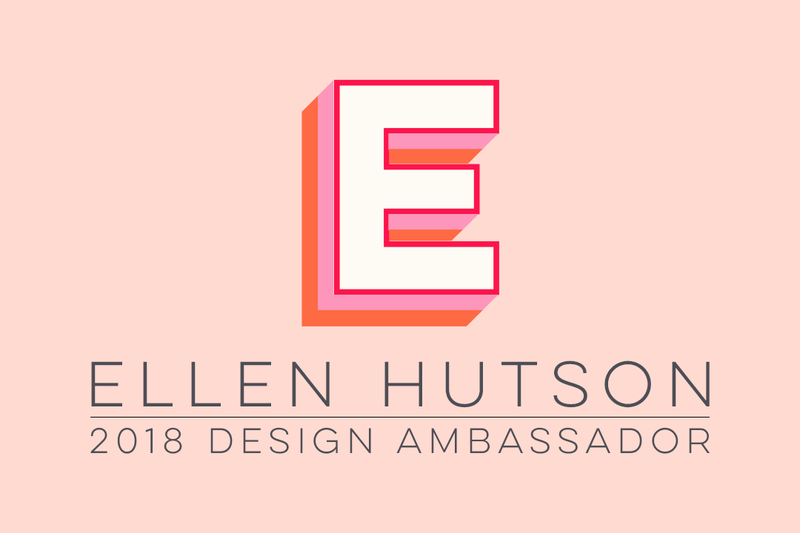 I'm so grateful to be starting another year with the wonderful team at Ellen Hutson! Their house products in the Essentials By Ellen line, the creative wonders on the design team, the fact that you can get all the hot new products across so many new and established companies, and especially Ellen herself, all make for a happy place to be. 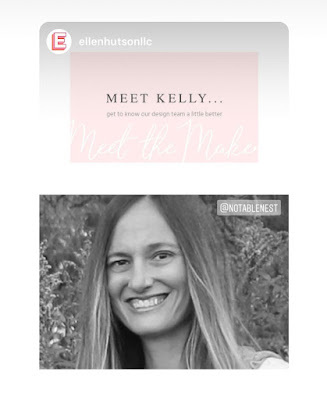 One of the newer features you may have seen on the Ellen Hutson Blog are the Meet the Maker posts. 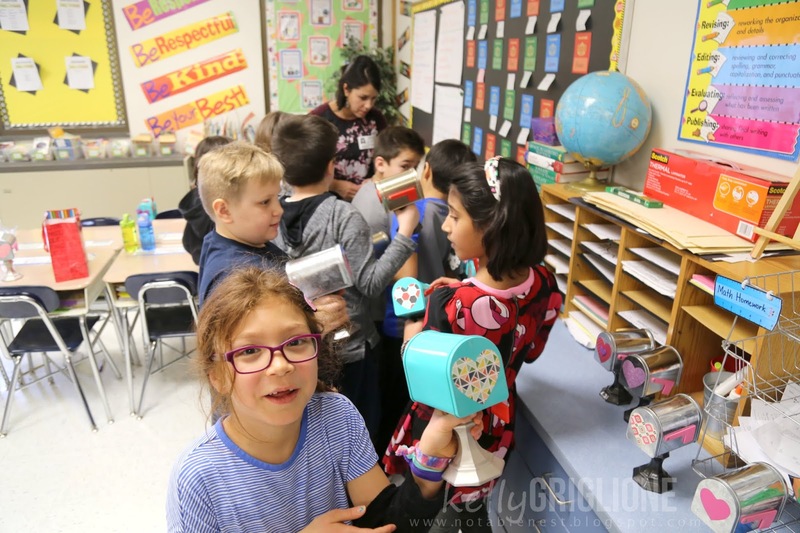 So fun to learn more about everyone! If you're interested, there's even a post on me that was just added. Hi Folks! 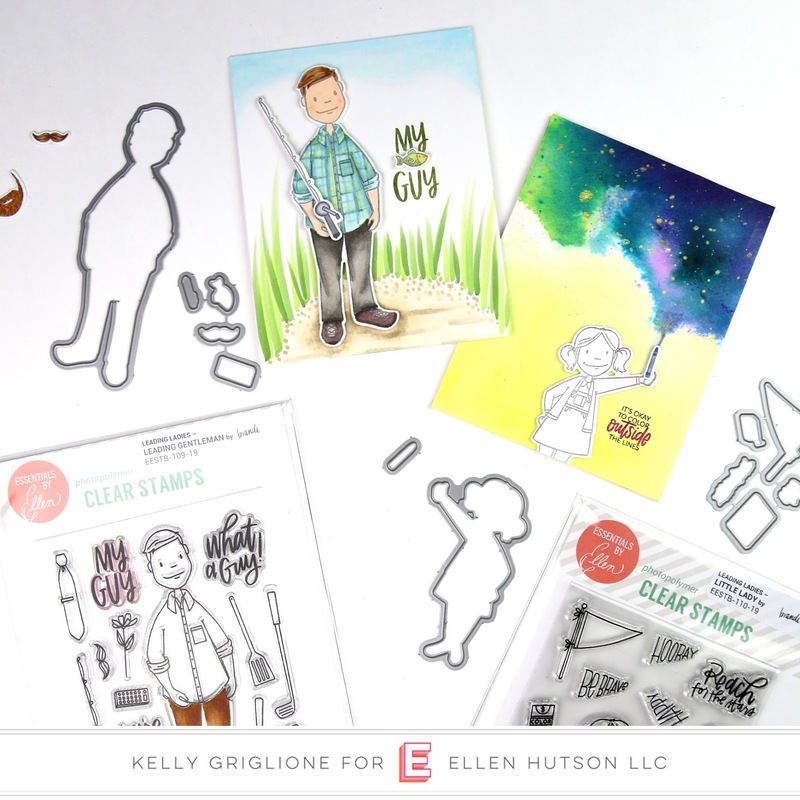 What a whirlwind Creativation was this weekend! 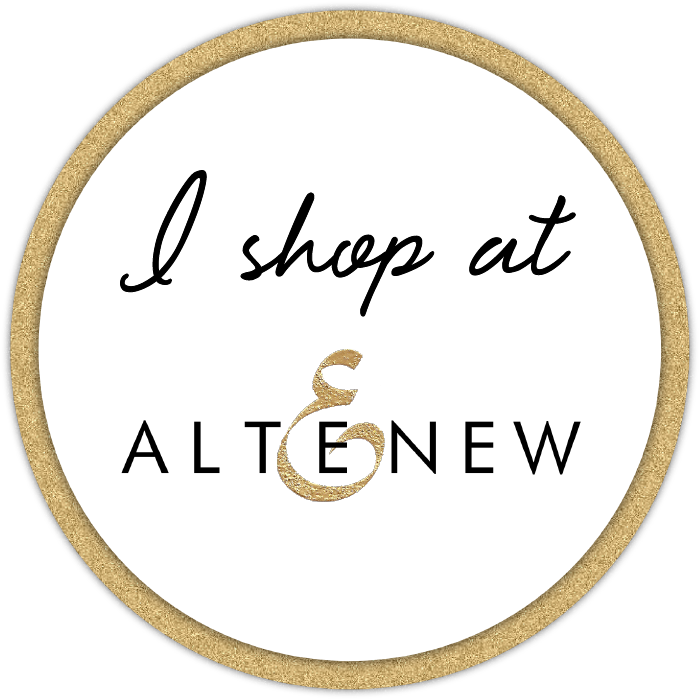 I can't wait to share some of the hundreds of photos I took there (or check out my instagram), but first I wanted to make sure you got a chance to see the amazing Scandinavian Prints in action at the Neat and Tangled Blog this weekend. 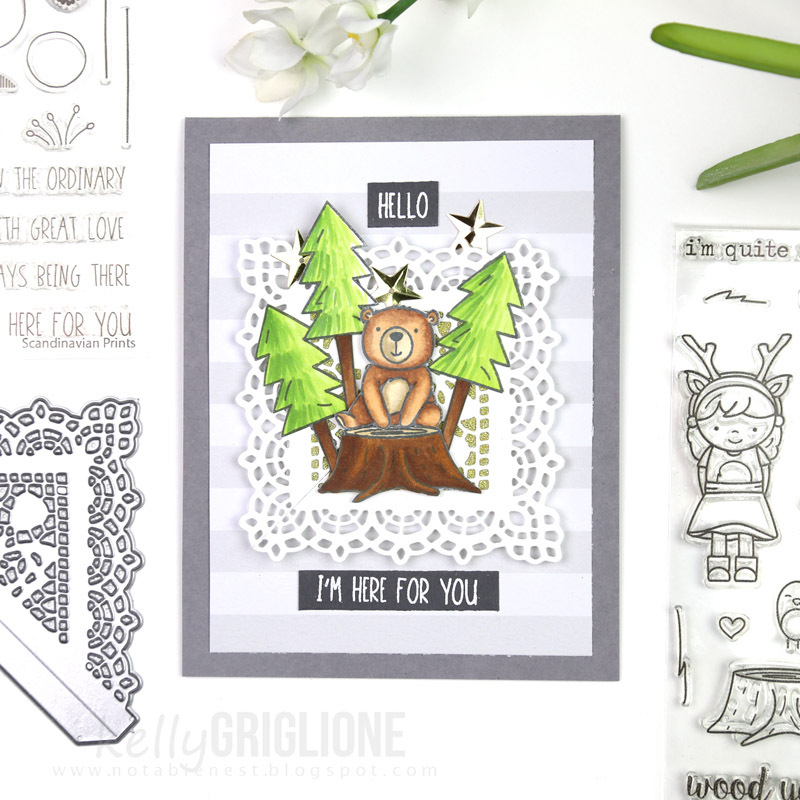 And combining sets with Lumberjack Love to make a happy, whimsical card. 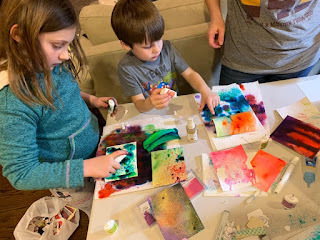 Head over to the blog to check it out! 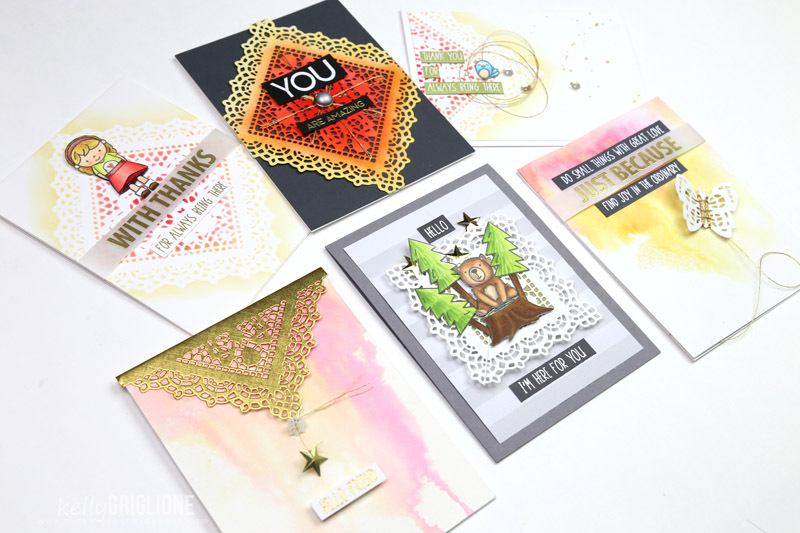 And here's a sneak peek for my final guest appearance on Friday where I'll share six different cards all made with the Doily Envelope die. Can't wait for you to see! This is my favorite series yet!! 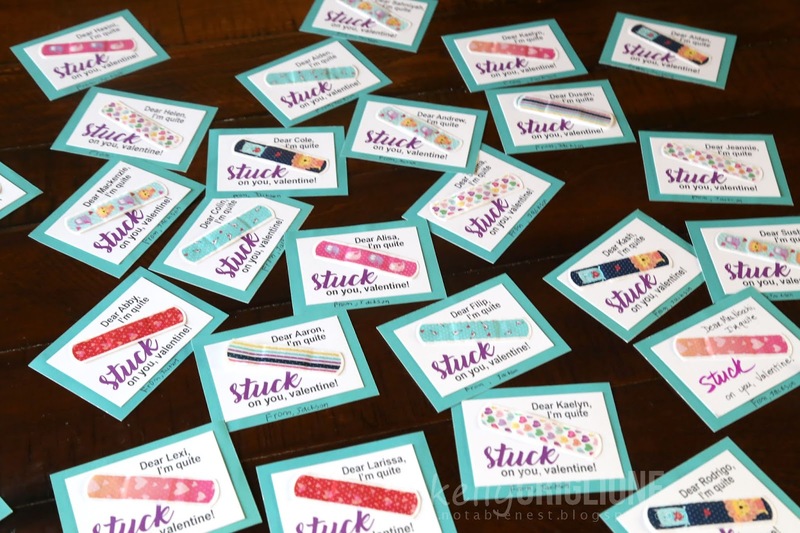 DIY Band-Aid Valentines: I'm Stuck on You! As more and more schools ban sweets and foods of all kind at school, it's a little more challenging to come up with a non-food valentine that the kids will like. 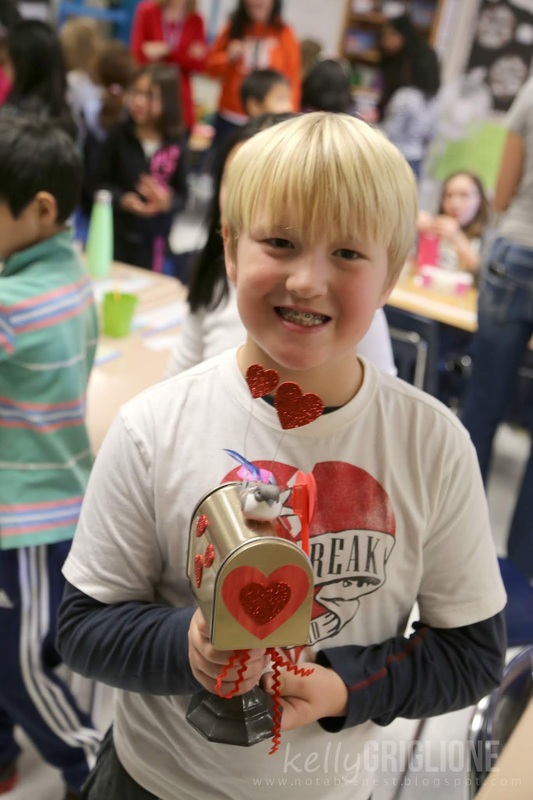 It's also a challenge to find a valentine that works equally well for boys as girls. 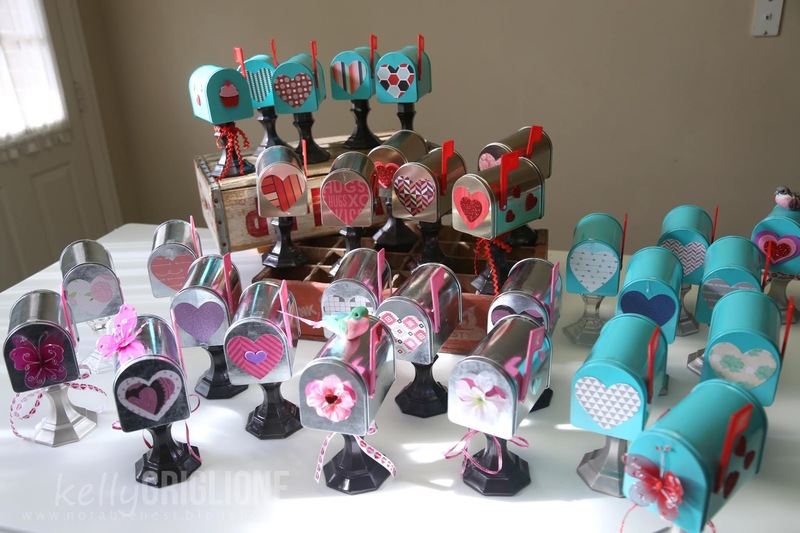 Yesterday I posted about the amazing tin valentine mailboxes that the third graders decorated for their Valentine's Day party, and today I'm going to show you the punny valentines that we made for Jackson's class! 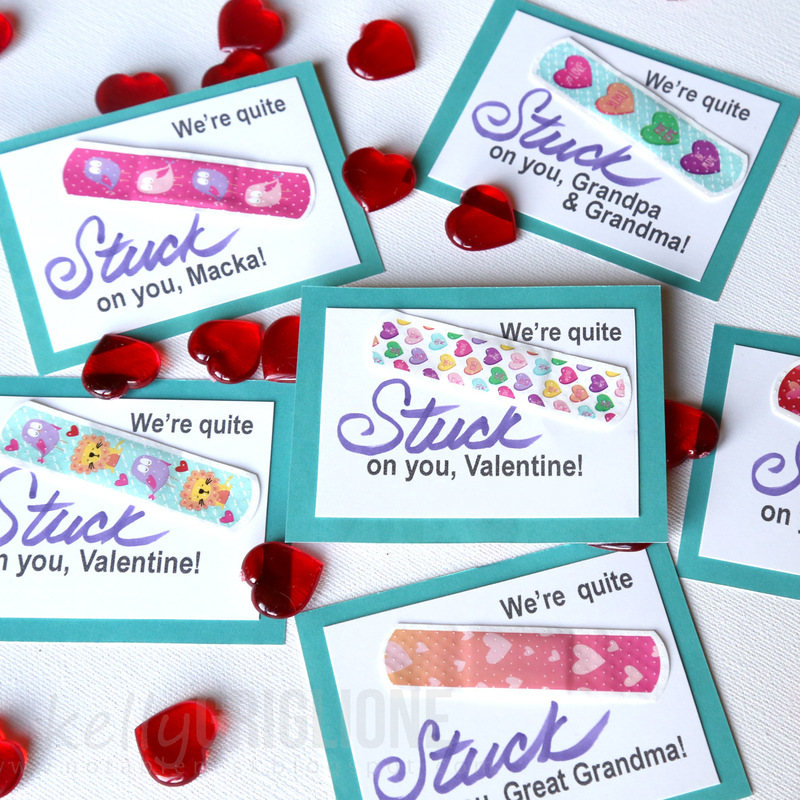 While looking at the tin mailboxes at the Target Dollar Spot, I noticed a package of adorable valentine band-aids that had an assortment of valentine-themed prints on them. And they came in a pack of 20 for only $1!! I figured I could come up with a punny sentiment to go along with them so I bought a couple packs and headed home. I'm STUCK on you, valentine. 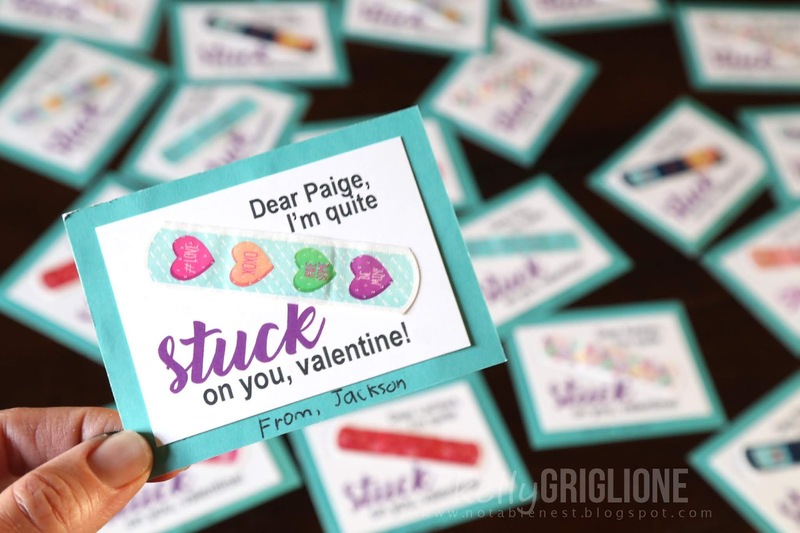 We printed all the classroom valentines with each child's name so all Jackson would need to do is sign his name at the bottom. 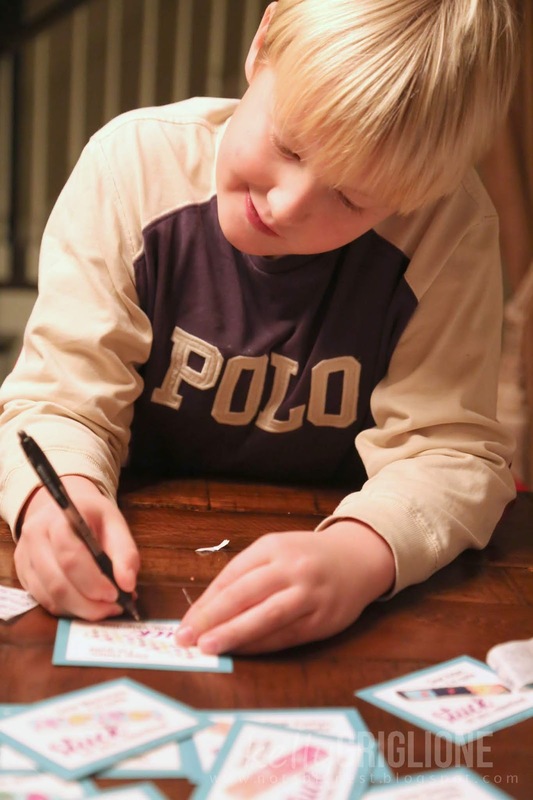 I realize we lost a great opportunity for him to practice his handwriting, but sometimes you're just pressed for time, hahaha. 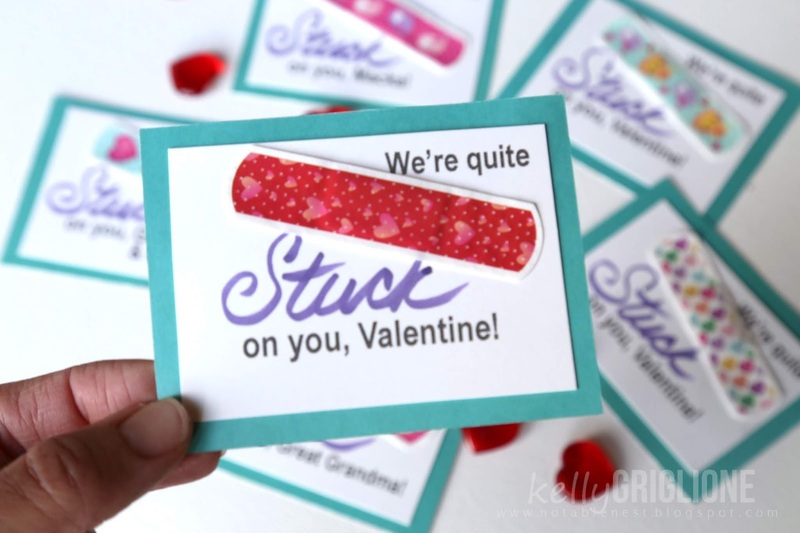 We stuck the band-aids directly onto the valentine, but you could absolutely leave the adhesive backing on them, and adhere them to the card with a tape runner so the recipient could actually use them later if they wanted to. 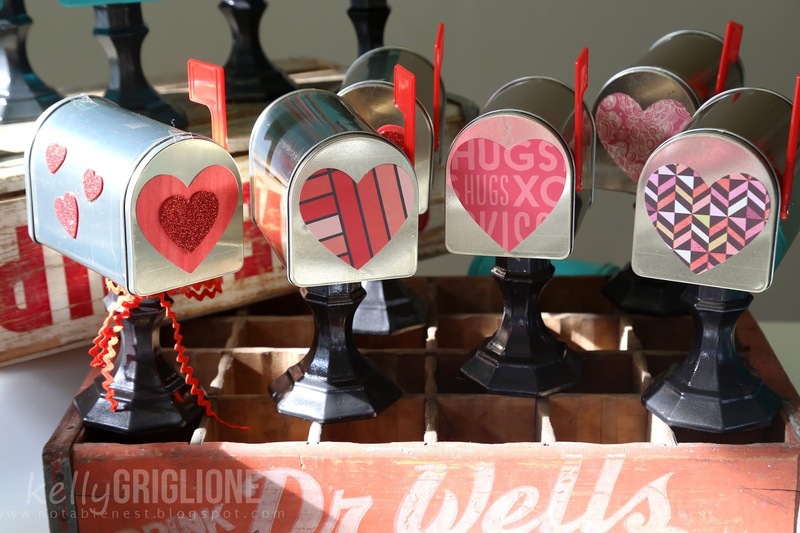 I used an envelope punch board to make custom envelopes for the Valentines, but you could just pass them out as-is. 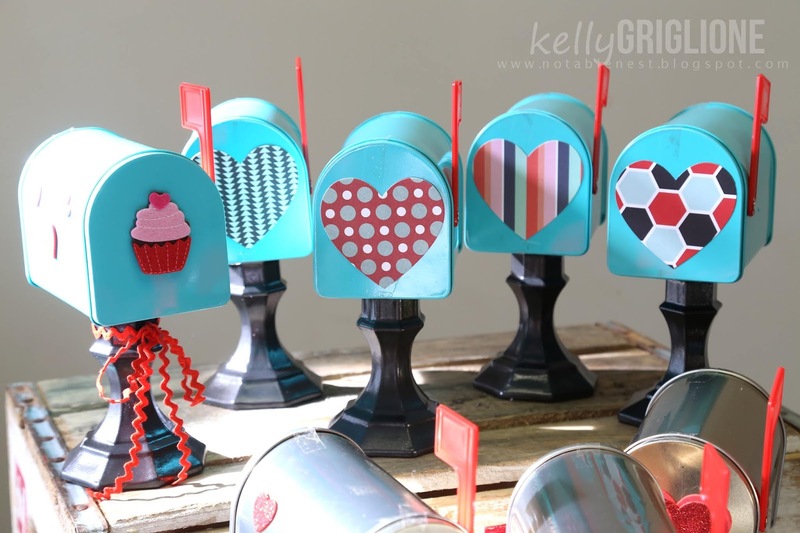 Don't they look so cute in the mailbox?! Thanks so much for stopping by! Hope your Valentine's Day is a sweet one! 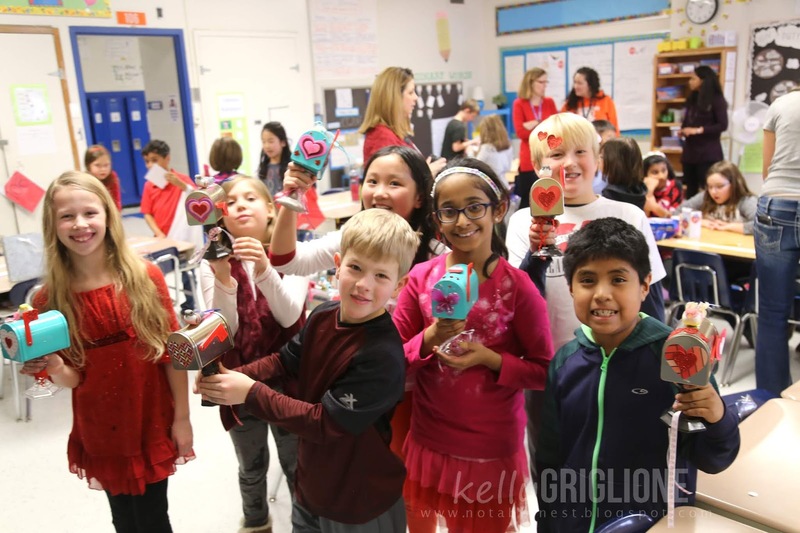 I am excited to share the Valentine's Day craft we made at Jackson's third grade elementary school Valentine's Day party! 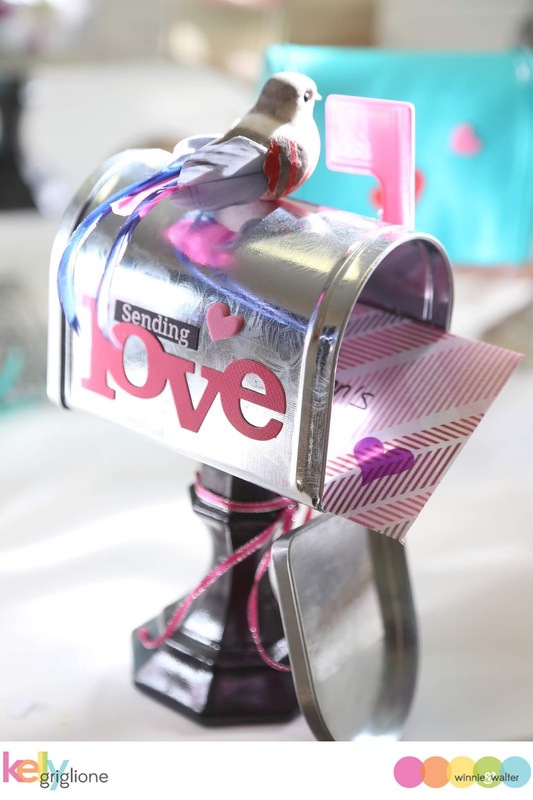 This valentine mailbox turned out so sweet, was simple for the kids to make in a 10=15 minute station, cost less than $2.25 per person, and was put to use immediately for all the little valentines they received. 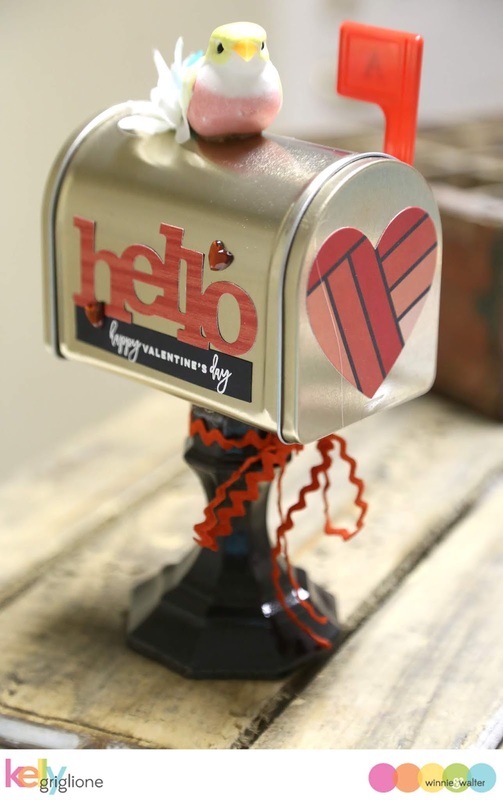 They even got to be mailmen and actually DELIVER their valentines! Other supplies you'll need include: Spray paint (read the cans to confirm but I've had good luck with Krylon on glass), embellishments for the tin (possibilities include glitter and foam adhesive hearts, adhesive gems, die-cuts, flowers, birds, butterflies), pre-cut lengths of ribbon, and hot glue. Line up all the candlesticks in a well-vented area and spray them with the paint. 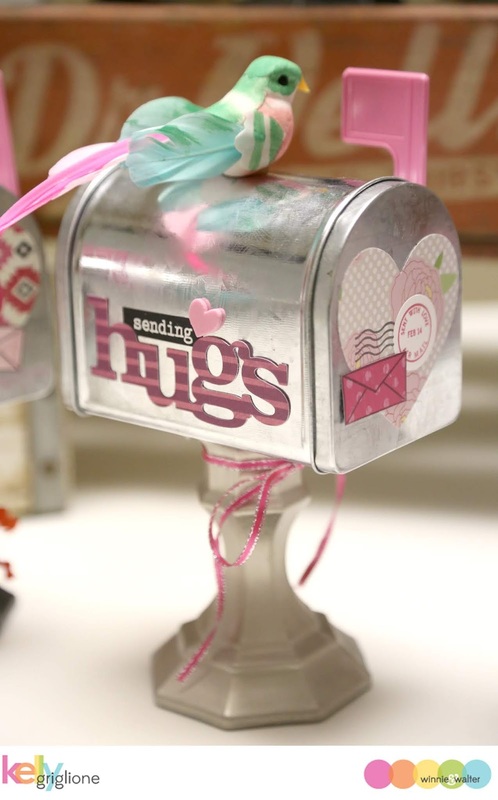 Once they are dry, apply hot glue to the top of the candlestick and immediately press the bottom of the mailbox onto the glue. I did have a few mailboxes come off during the process, and I believe those were the ones I didn't press the mailbox into the hot glue right away. Here they all are, waiting to be carried to school for the party. 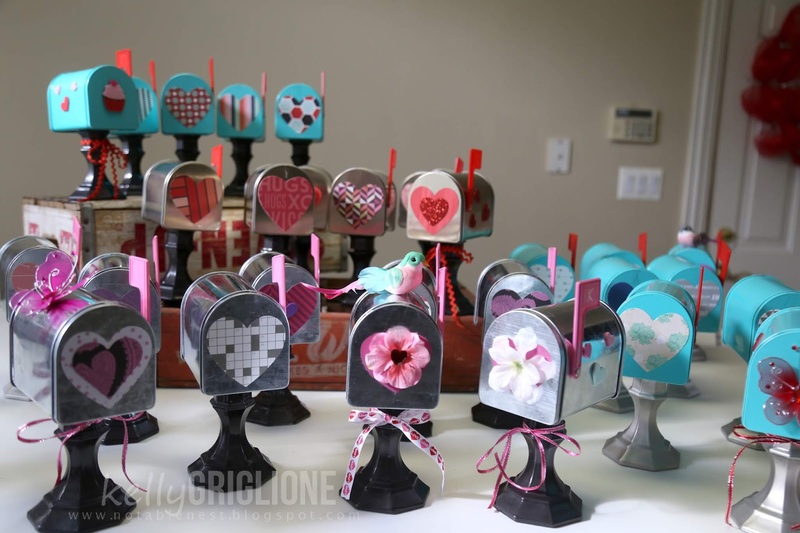 I brought several extra patterned paper hearts for the kids in the last station who won't have as many mailboxes to choose from. I also tried making an even amount of each color mailboxes and stands. Unlike adults, who may have selected the silver or gold tin to match their decor, or fixtures in their house, the kids all gravitated towards the pretty, blue colored tins. I definitely ran out of those fairly quickly. We had one and a half adults helping at this station. I was the half, either taking photos or helping as needed. 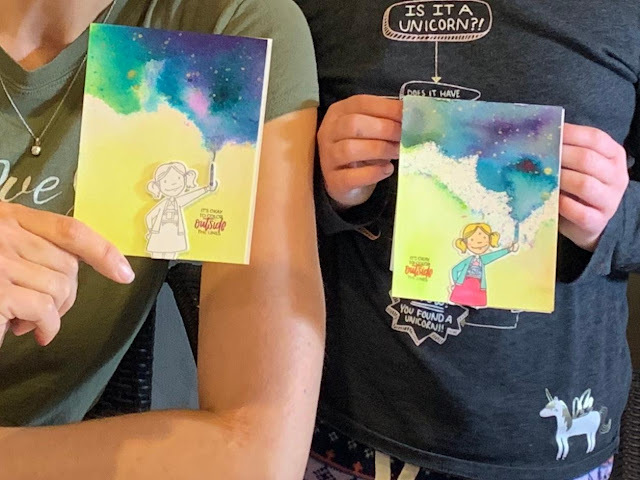 The kids picked out which mailbox they wanted to start with (after gasping with excitement once they saw them and realizing they would get to bring them home!) 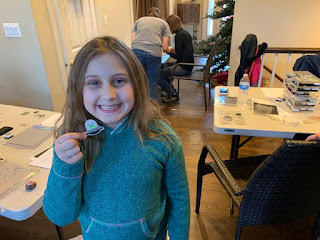 and then started picking out the stickers and gems they wanted to put on the tins. Then they visited the mom in the corner to have their birds or butterflies (4 for $1 at the dollar store) hot glued to the tin. 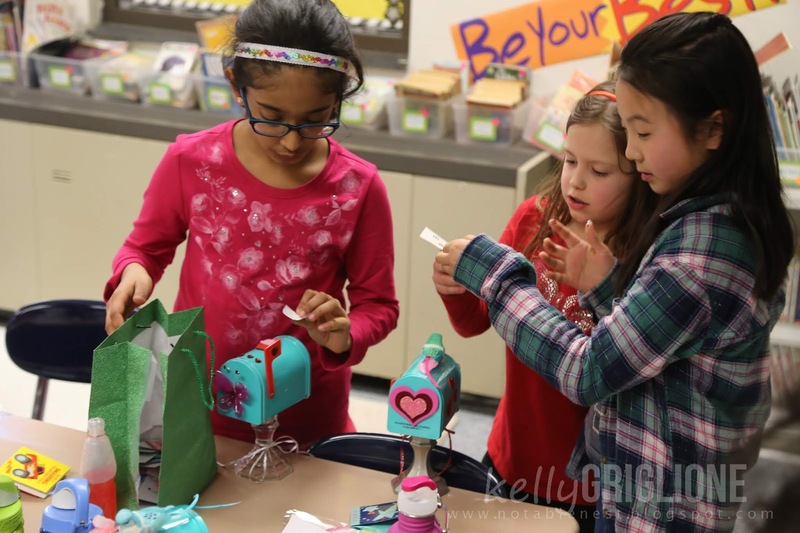 Their final step was to select a pre-cut length of ribbon to tie in a bow around the stand. 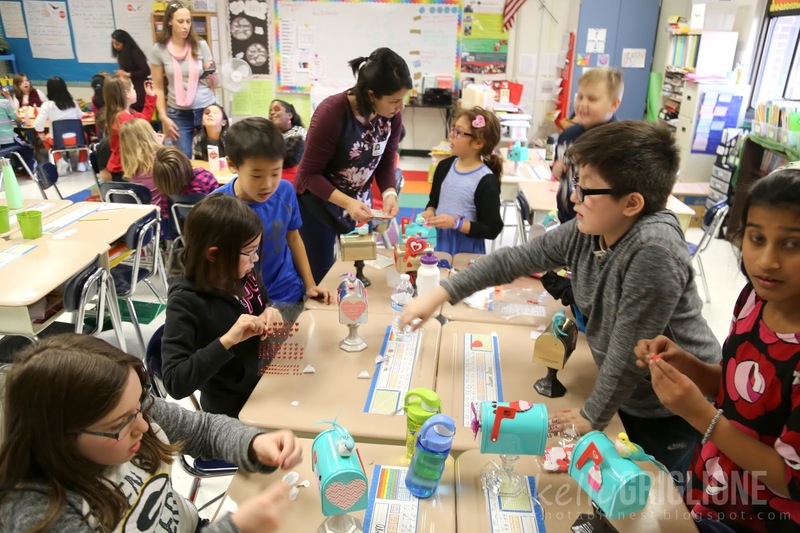 If you're working with younger kids (these are all third-graders) you may want to pre-tie the bows on the stands or have another adult available to do this step. At the end of the party, after they had all rotated through the stations and everyone had a completed mailbox, they got to set up their home base and start passing out the valentines. I mean really, can you beat this?! They were so, so proud. And check out how well they all did! This craft did take a bit of preparation, but I think it was well worth it. Not only do they get to actually put it to use during the party, but they have a pretty good quality Valentine's Day decoration to display at home for years to come. I've heard of some families actually using it at home during the whole month of February. 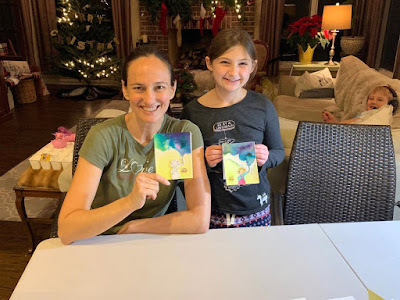 Leave it out in the kitchen, or at the back door, and write a sweet note for your kid(s) to find when they come home from school. Don't forget to raise the flag! Hi Folks! 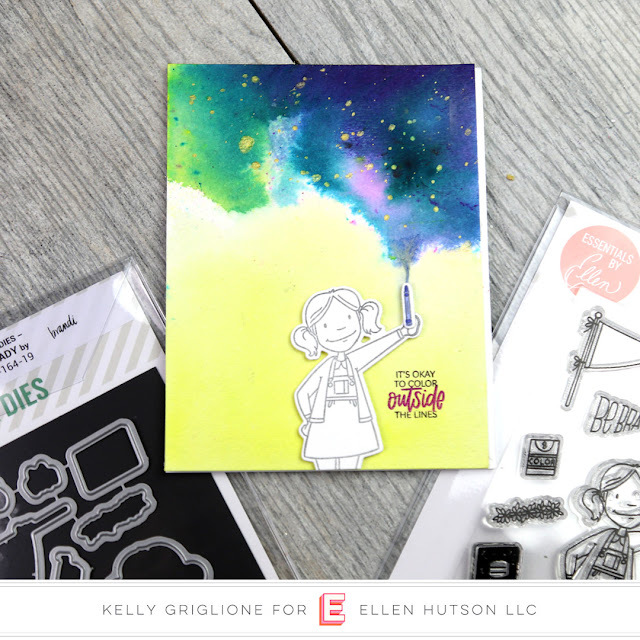 Yesterday we saw the new Leading Gentleman by Brandi Kincaid for Essentials by Ellen; today we see the other newest member of the Leading family ... Little Lady. What a sweetie!! This is another set where the accessories are just as special as the main image. 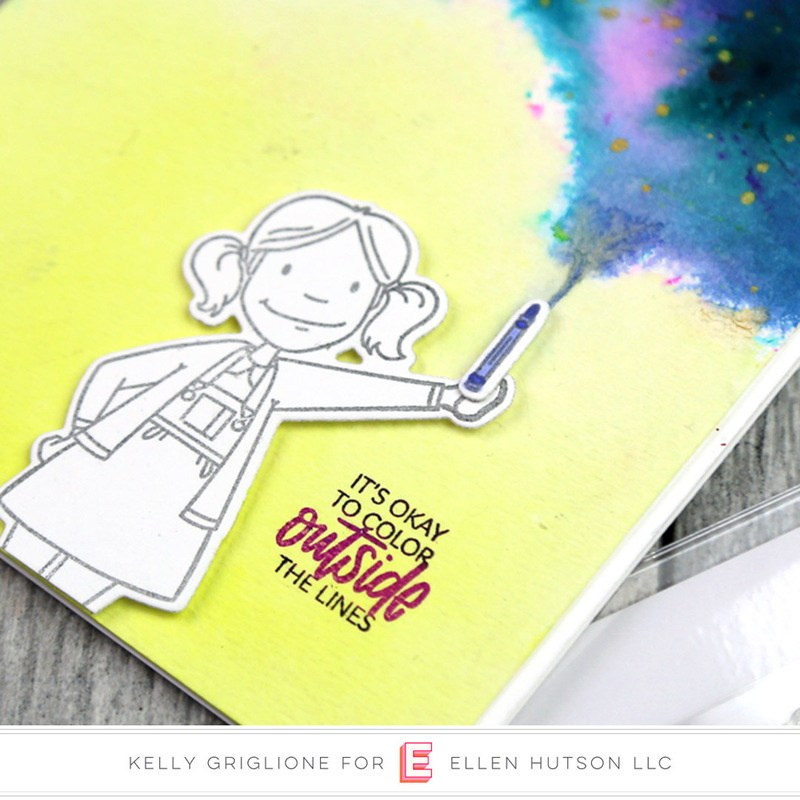 I picked the crayon to go with the "it's OK to color outside the lines" sentiment. Love that this little lady is holding her hand high, so she can color her own galaxy! With a blue crayon. Last weekend my cousins came over for a craft day, and Miss Mollie, who was only nine at the time, decided she wanted to recreate my card. Well, in about 15 minutes she whipped up an amazingly creative and well-executed card that I was completely jealous over. 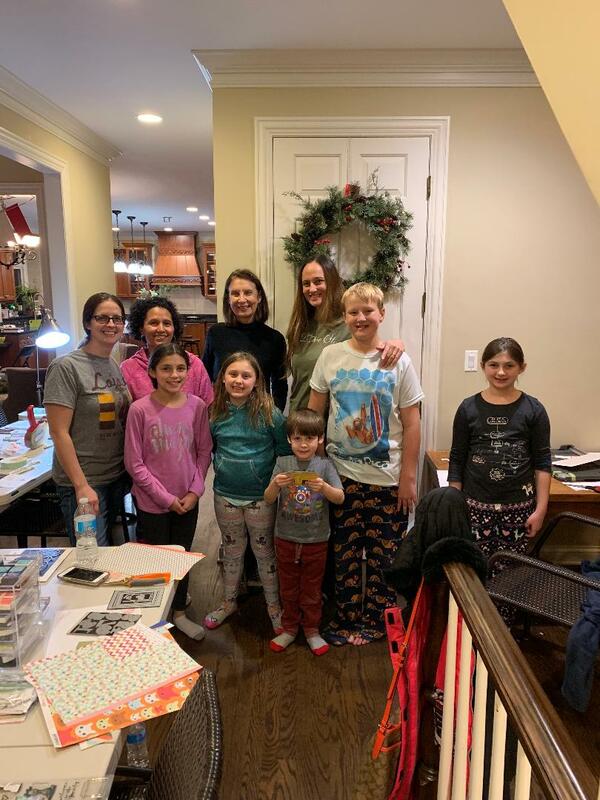 What could be better than crafting all day with six of your cousins/aunts?! 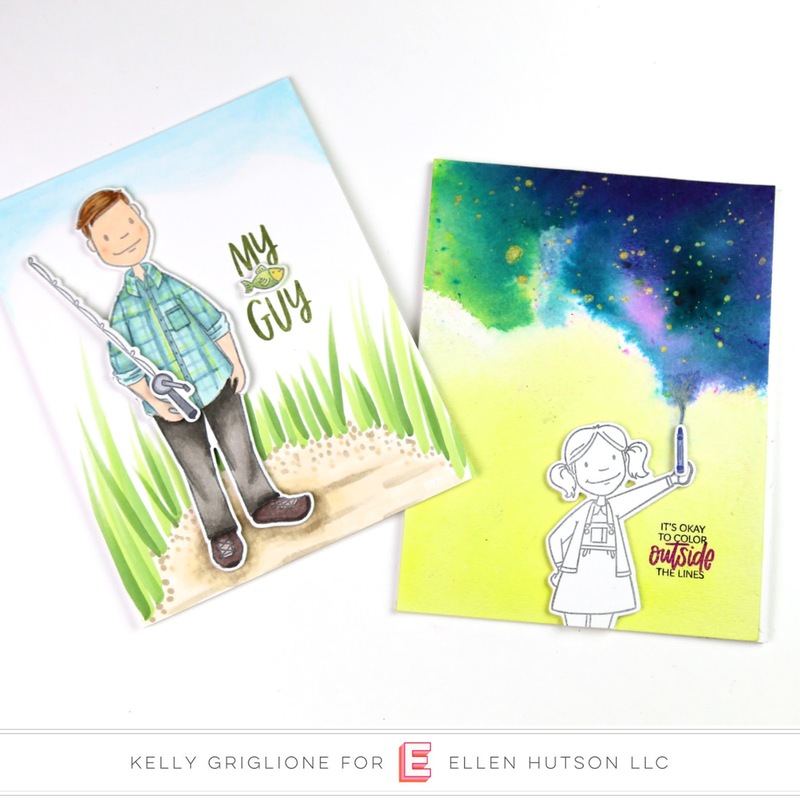 As a recap, here are the cards with the Leading Gentleman and Little Lady, which are available now!